USA Today Bestselling Author, A.L. Knorr is an award-winning Canadian fantasy writer. Readers love her vivid characters and mesmerizing stories of elemental transformation, adventure, friendship, and love. 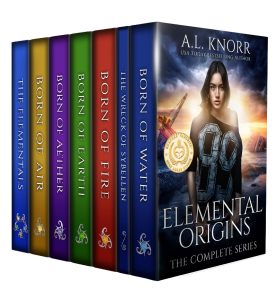 Born of Water (AL Knorr’s first published title) is a 2018 Readers’ Favorite Gold Medal Winner in the YA Urban Fantasy category.